Whether you are looking to create your own area in the garden for entertaining your guests or a base for a sun trap, here at UK Sleepers we are sure to have all you need to be able to create your own stunning decking area. 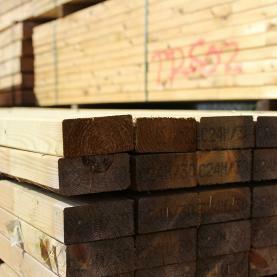 We are one of the UK’s leading hardwood decking suppliers that offer a nationwide delivery service that covers all area of mainland UK, so we are sure to be able to provide you with the components to build a beautiful deck. 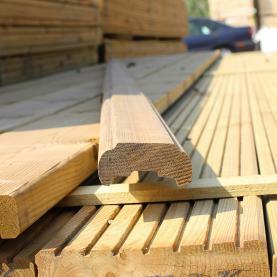 As we are in charge of our production from the tree to the finished product, this allows us to control the quality of our finished product to ensure we provide our customer with beautiful decking supplies that are fit for purpose. 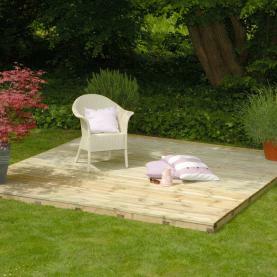 To do this we have onsite production facilities to enabling the machining and finishing of our range of decking. 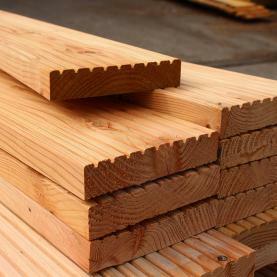 We have an extensive range of decking components available in English Oak, Yellow Balau, English Larch and Siberian larch, along with a range of Swedish Redwood Pine deck boards and Grooved Thermowood to complete our stunning range. 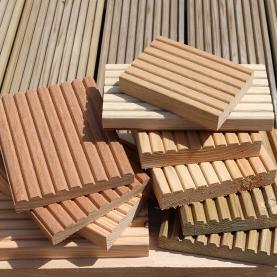 Not only this, we have a range of flatpack softwood decking kits and decking tiles at unbeatable prices, therefore we are sure to have the wood you desire to complete your garden project. 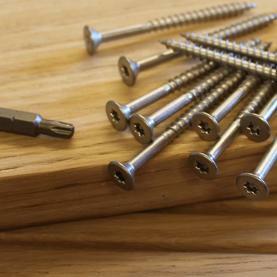 In addition to our range of decking boards, joists and decking kits we stock all the components required to add those finishing touches to your deck. In this section you will find all you need from spindles, hand and base rails and ready made complete panels for speed and ease of fitting.